San Lee has an honesty problem, a cash flow problem, and a distinct lack of coolness. 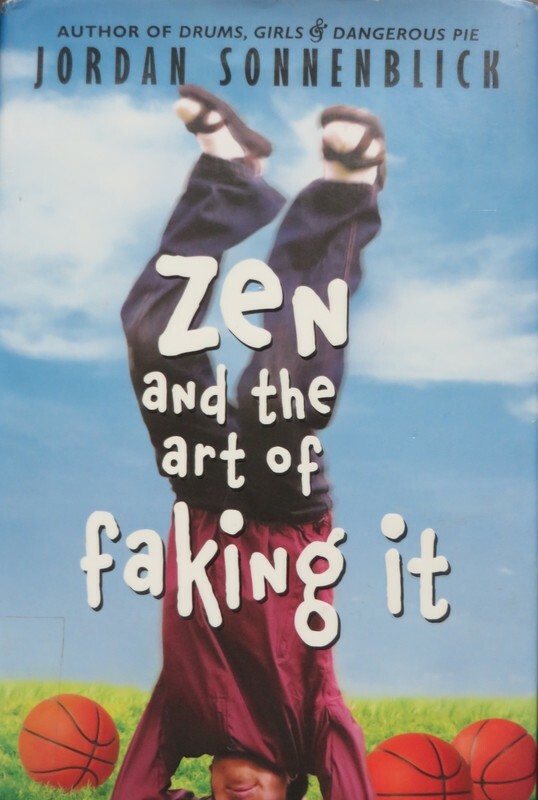 A chance encounter with a library book (and a chance to intrigue a girl at his new school) inspires him to give himself a personality makeover - he will be a Zen master. He will be philosophical when classmates taunt him, and he will pretend that his shabby clothes are a matter of choice, not necessity. What price should he pay for popularity? Jordan Sonnenblick has written some of my favorite books. This one contains a mix of humor and sadness that work so well in his other works, but the story is not quite as powerful. There were definitely moments of frustration as San makes poor decisions, but also humor as his "Zen" coaching unexpectedly helps basketball players. It has a fairly broad range of appeal for middle school students and explores themes of honesty and finding a way to be yourself, even when you want to find a way to fit in. "I was poor. I was Chinese. I was adopted. I had a screwed-up family. I was afraid of bugs, especially spiders. None of those attributes necessarily jumped up and screamed "Look! I'm a Star!" I tried to come up with some amazing talent I might possess, but because of the whole change-interests-every-year thing, I only had a collection of semi-lame half talents. And neither "You should see me almost play the violin!" nor "Check out my stunning ability to juggle two objects!" sounded like the slogan of a successful middle school maverick."